Stanmore was first recorded in the Domesday Book of 1086 as Stanmere, from the Old English stan, meaning stone, and mere, pool. The area has been occupied since prehistoric times. In the Iron Age, around 100BC, a tribe of Ancient Britons known as the Catuvellauni occupied Brockley Hill. Later, in around 55BC, according to local legend, they, under their King Cassivellaunus, fought a battle there against the Romans under Julius Caesar (the mere on Stanmore Common is still known as Caesar’s Pond – and a mound there as Boudicca’s Grave). There is archaeological evidence of Roman as well as Ancient British settlement in the area, although not of a battle. The Roman settlement, beside Watling Street, was known as Sulloniacae. 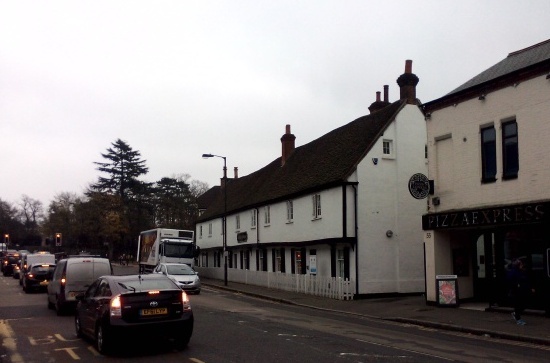 Stanmore was essentially a small village surrounded by open countryside in the Medieval to post-Medieval period. The – Augustinian – Bentley Priory was built in the area by Ranulf de Glanville in 1170, and dissolved by Henry VIII in 1546, the original building thereafter passing into private ownership until 1777, when it was taken down (and the present building put up in its place). Later, in the fourteenth century, the Augustinian Canons of St Bartholomew in Smithfield in the City of London were granted land in the area, which became known as Canons Park. 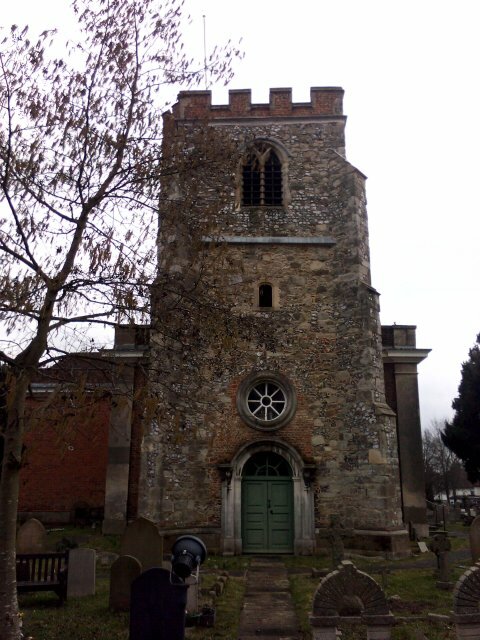 They were also granted the existing church of St Lawrence Whitchurch in Little Stanmore. There had been a Medieval church in Great Stanmore, too, but it was replaced by the church of St John the Evangelist in the seventeenth century. Stanmore remained largely rural until the twentieth century, when it finally became suburbanised. 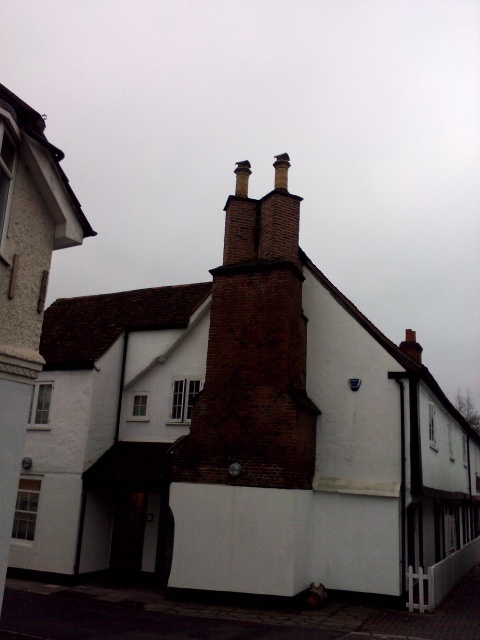 A number of historic buildings still survive here, including not only the above-mentioned and below-discussed churches of St Lawrence Whitchurch and St John the Evangelist, but also the sixteenth-century Cotterell Cottages on the High Street in Great Stanmore. The church of St Lawrence Whitchurch in Little Stanmore was originally built in the Medieval period and subsequently substantially rebuilt in 1715, with essentially only the earlier tower still surviving. The rebuilding work, in the Baroque style, was by John James, and it was funded by the local resident James Brydges, later the First Duke of Chandos, shortly after he made a vast fortune by speculating – legally – with the monies he handled as Paymaster of the Forces Abroad during the War of the Spanish Succession, and shortly before he lost it in the “South Sea Bubble” (*). The church is chiefly famous for its opulent interior, and contains wood-carvings attributed to the English master-craftsman Grinling Gibbons, and paintings attributed to the continental great masters Laguerre and Bellucci, whose reproduction of Raphael’s Transfiguration in the Ducal Chapel is particularly magnificent. Handel played the organ in the church, and, among others, both Francesco Scarlatti, brother of Alessandro, and J.C. Bach, cousin of J.S., also played here. The supposed “harmonious blacksmith” William Powell, who was the parish clerk in Handel’s time, is buried in the churchyard. (*) Brydges’s residence, “Can(n)ons”, was demolished after his death. You can hear the past. The church of St John the Evangelist in Great Stanmore was originally built in the Medieval period and substantially demolished and rebuilt, in the post-Medieval, Stuart, period, in 1632 (when it was consecrated by Archbishop William Laud). The rebuilding work, in brick, which was at the time an essentially experimental church-building material, was paid for by the merchant-adventurer Sir John Wolstenholme. The experiment was not altogether successful, and the church had become unsafe by 1845, and was subsequently allowed to fall into disrepair (although an attempt to demolish it had to be abandoned after local protests). 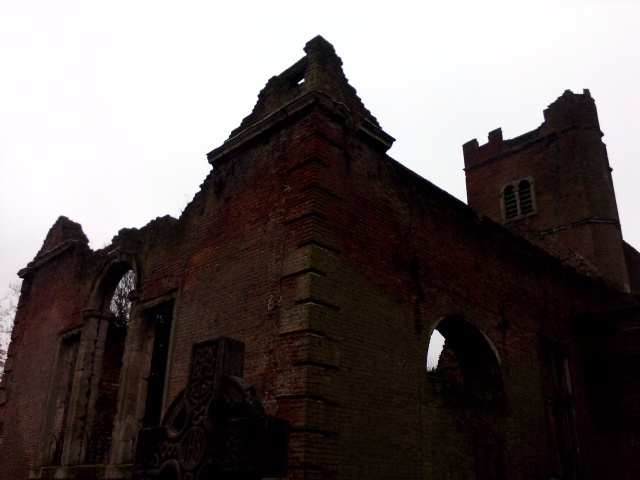 It now forms a romantic ruin surrounded by an atmospheric churchyard. 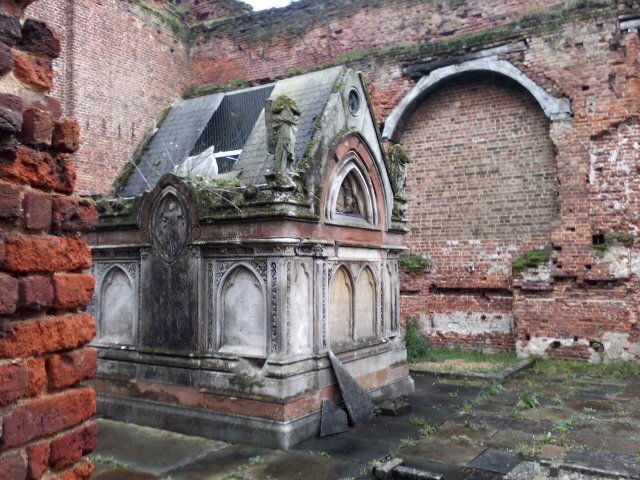 The former interior, now open to the elements, contains a number of memorials, including the Hollond family mausoleum. W.S. Gilbert, of Gilbert and Sullivan fame, is buried in the churchyard. The old church was replaced by a new one in 1850. This entry was posted in 17th Century London, Far flung London, Medieval, Prehistoric London and tagged Catuvellauni on October 1, 2015 by Bob Jones - The Lost City of London.